Even just thinking about it now makes me giggle. It started in the kitchen, where Arthur often likes to wander around when I’m cooking or cleaning. He’d gone very quiet, and my heart leapt into my mouth – until I heard a squeak and found him squished in the corner by the dresser. 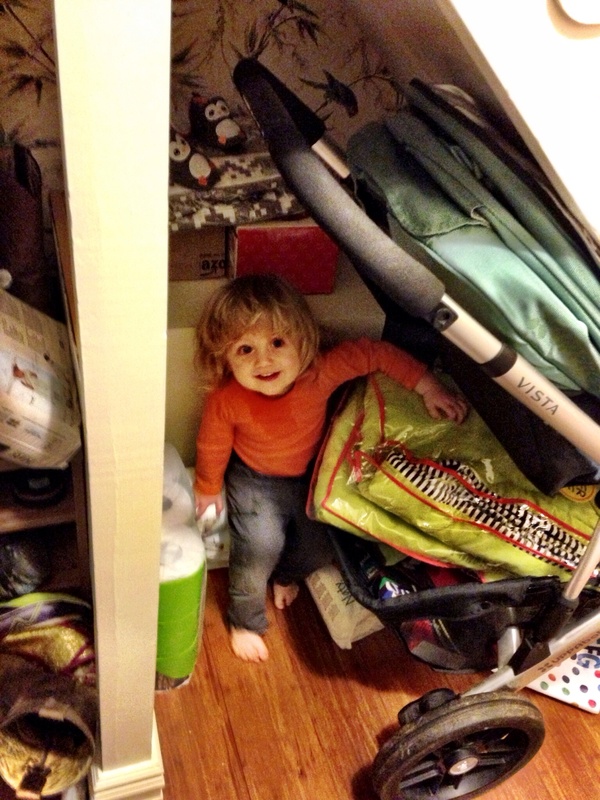 It happened again when we were up in the bathroom one morning getting ready for the day: we were both brushing our teeth, and I turned around to see him disappear into the cubby hole where the laundry lives looking very pleased with himself. Then when we were in the park with friends he was all of a sudden nowhere to be seen. He’d found himself a quiet corner in the play house and was just hanging out, waiting to be found. 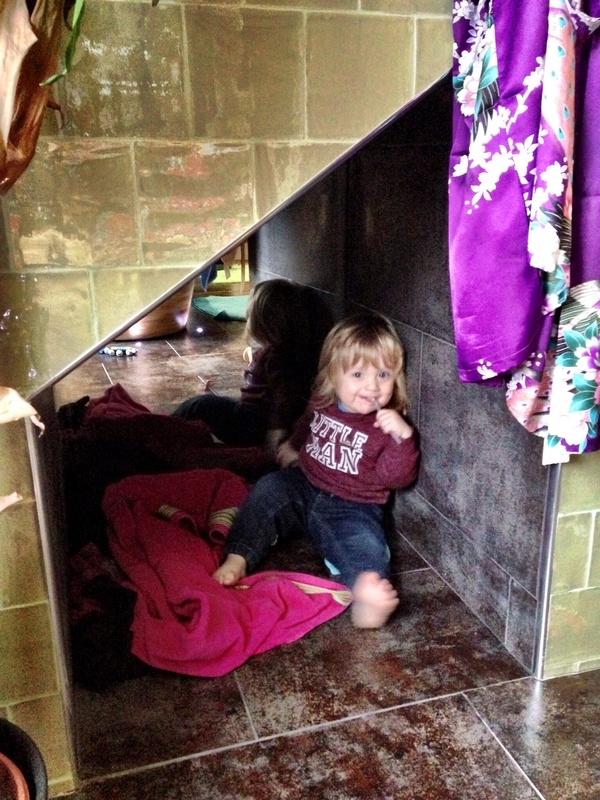 His favourite spot at the moment is under the stairs, and often when Leigh or I are panicking this is where he’ll be, tucked in between packs of nappies and his buggy. It’s the glee on his face that gets me every time: he’s just so thrilled at having invented this new game. 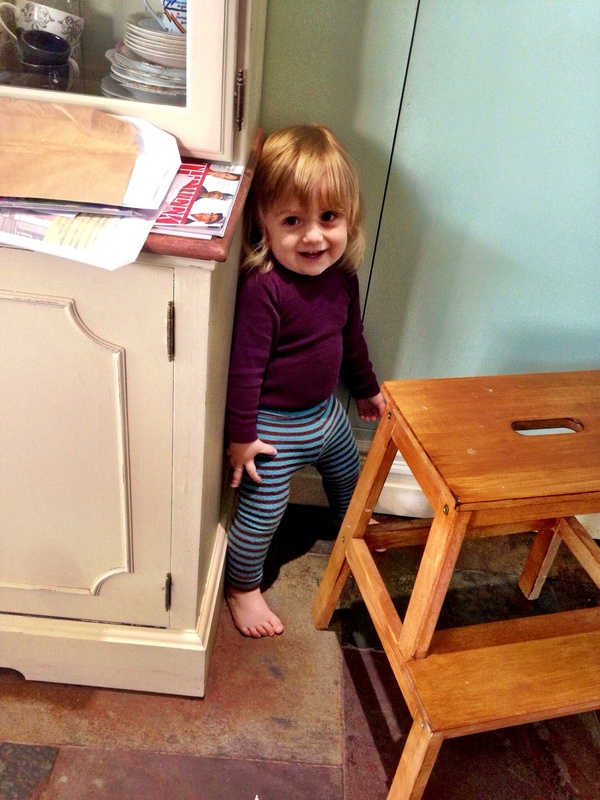 I’m not sure where he’s got it from as we hadn’t yet got round to playing hide and seek. I think part of it is just the particular comfort of being in a small space, but he’s definitely waiting for someone to find him too. The game doesn’t always work out quite as planned. I had to rescue him when he managed to crawl under the sofa in my writing room when my focus was on the last few lines of a chapter. 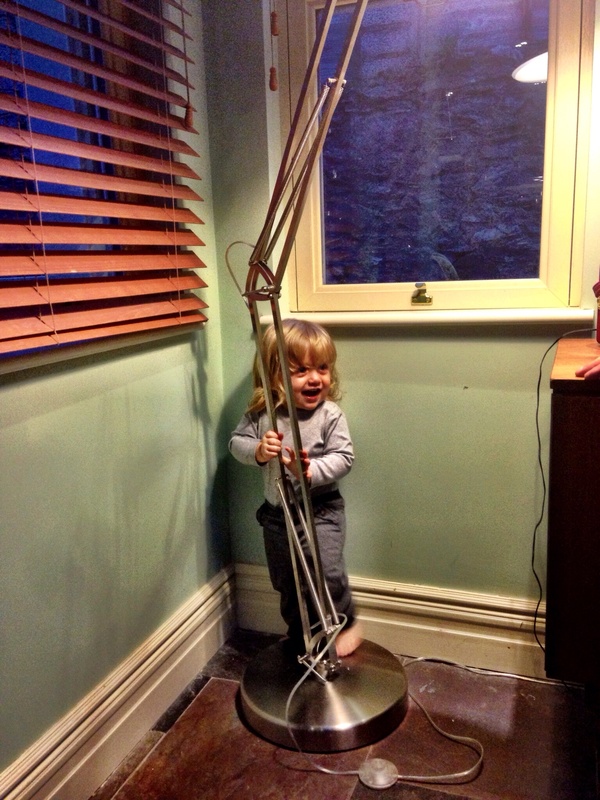 And I think he’s chancing it a little to think we won’t notice when he slips behind the kitchen lamp. But all in all this new game, and Arthur’s conscious sense of interactive play, has the potential to be lots and lots of fun. 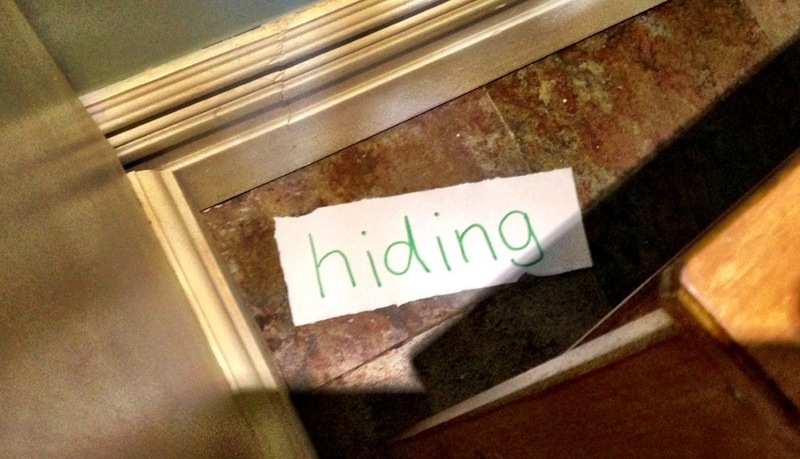 I’ll just have to hope he doesn’t get too creative in his hiding places! 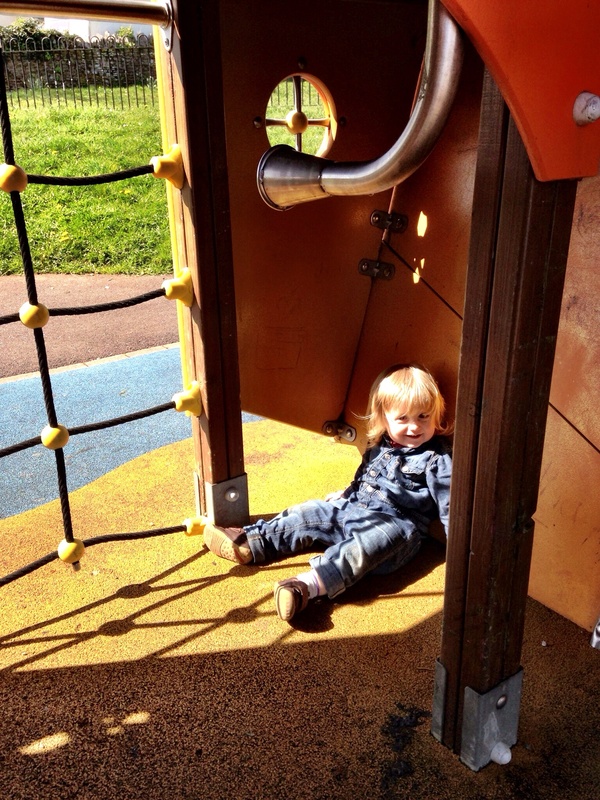 This entry was posted in Sophie is parenting, Uncategorized and tagged fun, hide and seek, hiding, play on April 4, 2014 by sophieblovett. So cute. Fits right about anywhere too. 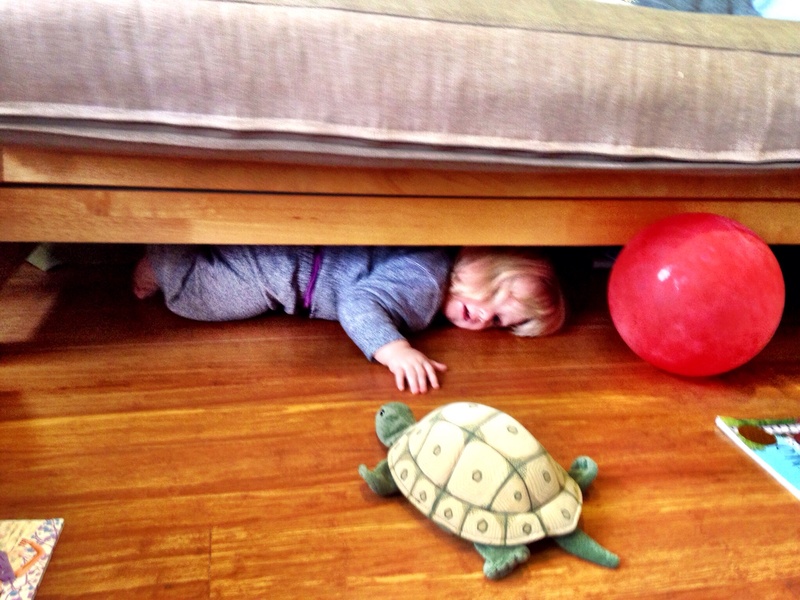 Your son is an adorable hide & seek player. Hmmm… He does have a certain fascination with the washing machine… I’ll have to keep a close eye! He looks so pleased with all his hiding spots! So funny. 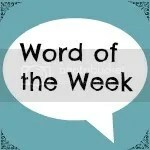 They are just in their own little world half the time aren’t they?